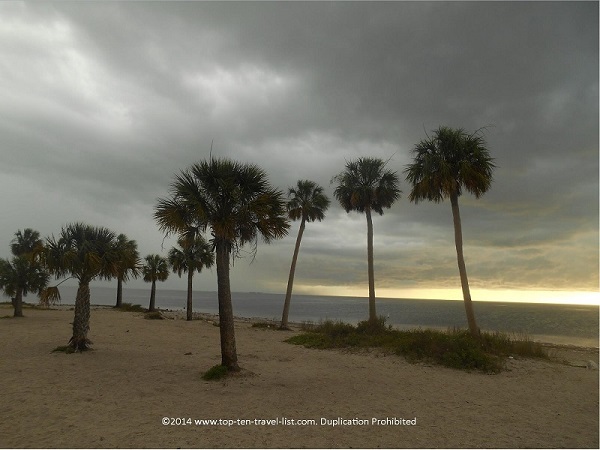 Florida Beach Day Guide - Top Ten Travel Blog | Our experiences traveling throughout the US. It’s beginning to feel like the fall season…the pumpkin spice latte is back out, leaves are beginning to change color, the weather is becoming cooler, and all thoughts of going to the beach are slowing starting to drift away. Well, everywhere but Florida that is! As the milder fall weather approaches starting in October, the prime beach season begins in Florida. The fall months are the best times to visit the Florida beaches as summers are ridiculously hot and humid. Florida is home to some of the country’s top rated and most visited beaches. Oftentimes we get so excited for the beach that we forget to properly plan what we will need for the day. Big mistake! The difference between a fun day at the beach and a miserable one often boils down to one important factor: preparation! In order to ensure you have a great time at the beach, I have put together a handy list of tips and tricks to ensure a fun, relaxed experience. First off, you will need to research a few important factors before planning out your beach day. These factors include: 1. the weather 2. driving distances 3. parking and admission fees and 4. type of beach. Weather – Be prepared for extremely hot temperatures and the chance of daily thunderstorms during the summer months. Winter brings cooler temperatures and drier weather. If local, check the 10 day forecast and plan out the day with the best conditions. If traveling out of state, pick the time of the year with the best weather (November is an ideal month with average highs in the upper 70s and little chance for rain). Driving Distance – Plan how far you are willing to drive. Remember that you will have to make the trip home too (assuming no hotel) after a long, tiresome day spent in the sun. If visiting from out of town, pick a hotel right on the beach so you do not have to deal with traffic and parking. Fees – All Florida beaches have different parking rates. Some are even free. Be sure to factor the fees into your consideration, especially if you are on a budget. Type of beach– What are you looking for in a beach? Relaxation? Entertainment? Pretty views? Sports? A beachfront bike path? All Florida beaches offer different amenities. Make sure to find one based on the amenities you are looking for or else you could be stuck sunbathing when you would rather be riding a bike. Now, it’s time to pack your beach bags. Listed below are some of the most common items you will need for a beach day in Florida. I am sure there are many more, however, these are the top things I have noticed based on my beach days. 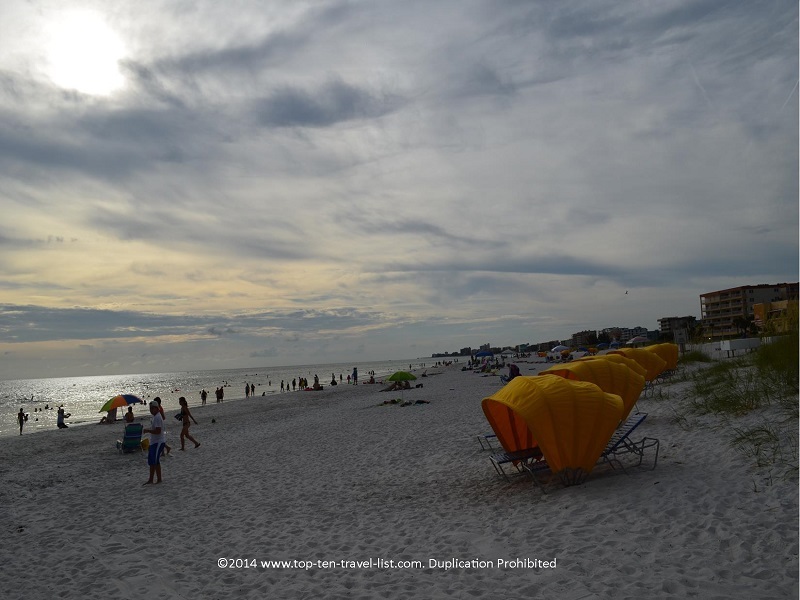 In addition, take a look at my Beach Essentials Printable Checklist for additional tips and tricks on what to pack for a beach vacation. Here are a few helpful tips to keep in mind for your day out at the beach! *Florida summers are brutal, oftentimes too hot to swim. Be sure to check the weather forecast for the day. I recommend visiting the beach during the earliest part of the day, especially during August and September. Or better yet, plan a fall getaway. *Parking is often a nightmare to find on the weekends. Visit on the weekday for fewer crowds. *Apply sunblock before leaving and throughout the day. *A beach umbrella is an absolute must as are sunglasses. Squinting all day and lying with the sun beating down are you is not fun! *One water bottle is never enough! Bring a full size water cooler. A 2 gallon cooler with a spout usually works well. *Get a beach coverup to use while lying out. Covering yourself while not in the water will help prevent sunburn and also save you a little money on sunblock expenses. *Bring with your glasses just in case you lose a contact in the water – Believe it or not, I’ve had it happen to me before! *Bring clothes to change into so you do not have to dry home wet in the car – it’s the worst feeling! *Use the outdoor showers so you do not get sand all over your car. It’s rough to clean out and will quickly stink up the car. 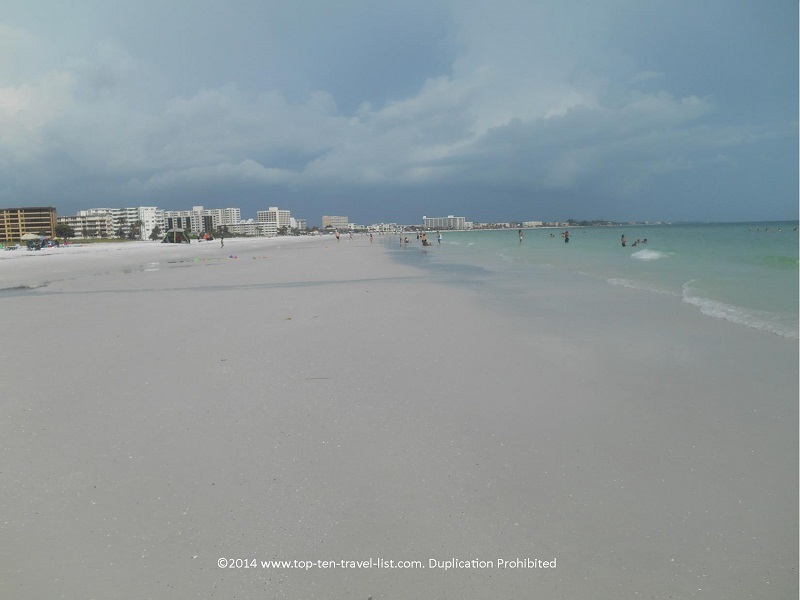 *For popular beaches like Clearwater it pays to stay at an oceanfront hotel with direct access- save on pricey parking fees and several frustrating hours trying to find a decent spot. 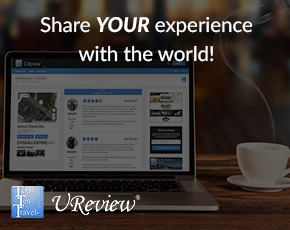 *Check Groupon and Living Social for discounts to nearby restaurants and attractions. *Pack a simple lunch – nothing too messy and skip anything that may melt easily in the hot Florida sun. *Don’t bring with a fancy camera. I bring with my Nikon Coolpix when taking casual beach pictures. You do not want to risk your fancy camera getting damaged or stolen. *Do not bring with anything that you wouldn’t want to risk losing. It’s hard to watch all your stuff all the time, especially if you plan on taking walks down the beach or going swimming. Take out the stress of constantly watching your stuff by leaving valuables in the car. Take some much needed time away from electronics and you will not have to worry about losing them! *Avoid pricey beach parking lots by finding free parking on nearby side streets. You may have to walk a bit, but at least you can save your money for something extra on your trip. *Skip the expensive beach cafe and pack your own lunch. *Bring your own umbrella instead of renting one at the beach. Buying your own umbrella will pay for itself in one or 2 visits. *Look for cheap beach chairs and equipment at a thrift shop. You can usually find a great selection of affordable options in any beach town. *Bring with beach towels from home. Don’t buy the overpriced ones in the tourist shops right by the beach. *Buy your swimsuit for next year at end of the season sales. You can find $5 tops and bottoms at stores like Kohls and JC Penneys when they begin to clear out their summer merchandise. 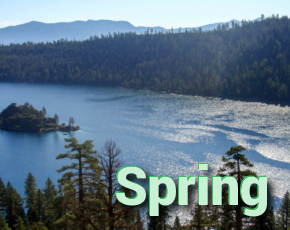 *Plan your trip during the off season for lower hotel and airfare rates. *Load a cooler with plenty of water bottles or fill up a 2 gallon jug. Multiple water bottles from a cafe and/or vending machine will quickly add up. *Bring with your own sporting equipment – bikes, volleyballs, etc. instead of renting them out. *Visit during odd hours – Many beaches offer free or reduced price admission after certain hours. 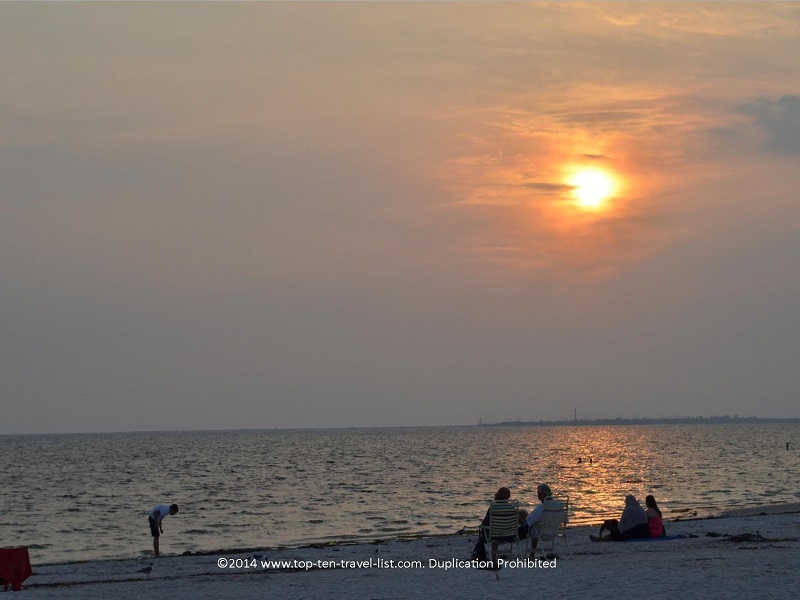 For example, Honeymoon Island offers a special sunset rate. Check your destination’s schedule of fees. *Sign up for an annual pass if you plan on visiting the beach repeatedly throughout the year. *Walk or ride your bike into the beach instead of driving. 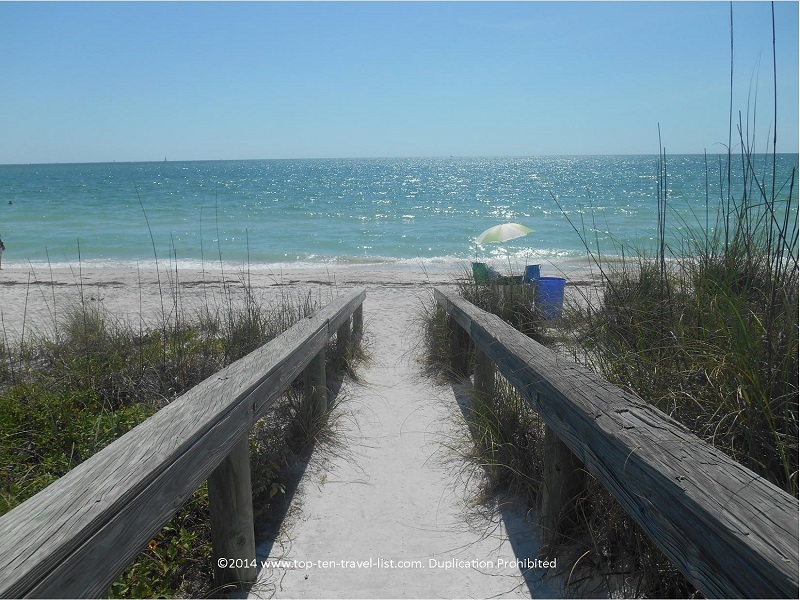 Many beaches such as Honeymoon Island offer reduced rates for pedestrians and bikers. *Check online deal sites like Groupon for discounted hotel rates. You can save hundreds of dollars and have more spending money available for your trip. *Visit during special events. 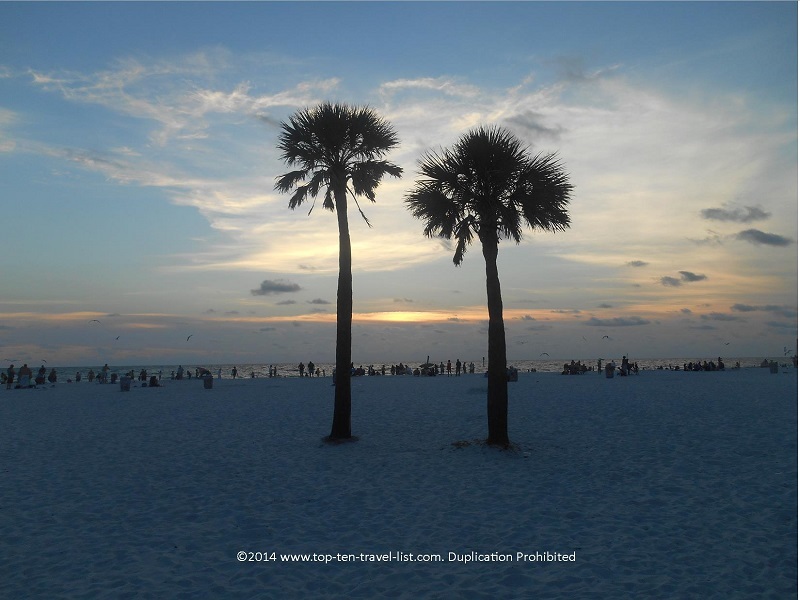 For example, Clearwater Beach offers a daily free Sunsets at the Pier Festival. You can make your beach day double as your entertainment and thus save money on planning a pricey nighttime attraction. *Skip overpriced souvenirs. Take lots of pictures and make your own free souvenir. Share some of your favorite Florida beach day tips!